I am pleased to announce my upcoming baking workshop on the Magic Custard Cake and German Melt-in-the-mouth cookies. Yes, this workshop is back due to popular demand after having conducted 3 sessions last year. Click here to view photos of my past baking workshops. 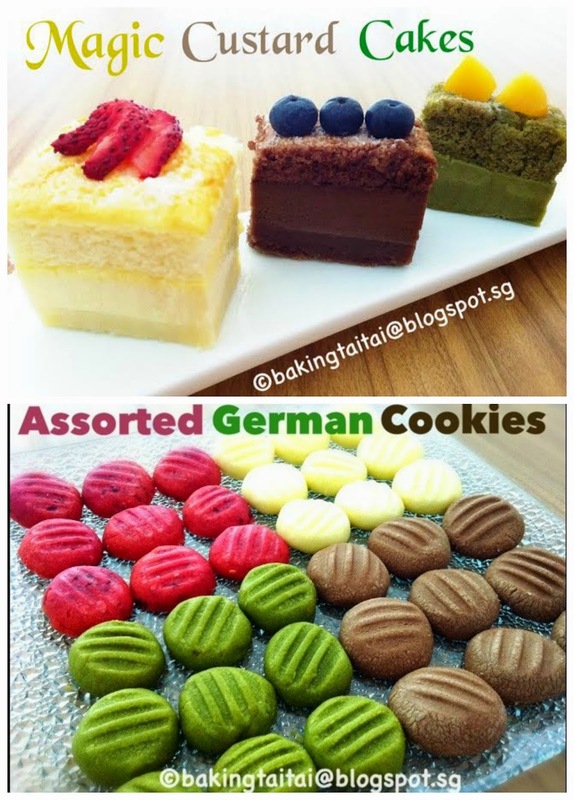 Do come and join me for a fun afternoon of hands-on baking a delicious magical cake which is done with just one batter and you get three different layers and textures of cake as well as baking some German melt-in-the-mouth cookies to bring home to loved ones. Baking Taitai is endorsing for Blue Jacket Flour in Singapore which will sponsor the flour to be used in the workshop. Each participant will also get to bring home one kg pack of this premium flour to try. Click here to sign up for the class at LessonsGoWhere.